The third quarter moon occurs when the other half of the Moon is illuminated compared to the first quarter. 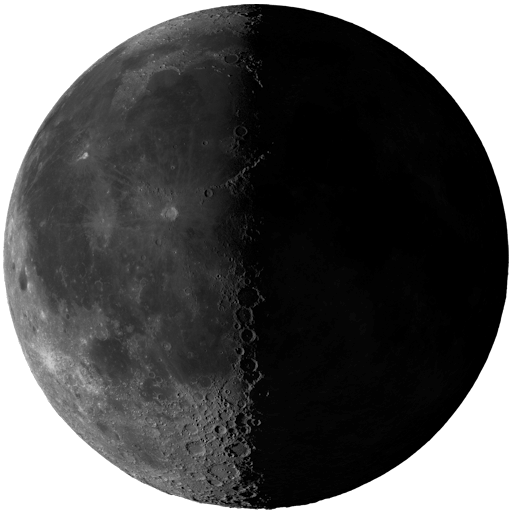 On the day of third quarter, the Moon rises approximately in the middle of the night and sets in the middle of the day. Release of any negativity, not just banishing it but consciously letting go of it. Continuing any banishing done during the last phase. The third quarter, Full Moon through Last Quarter, ideally brings illumination to the influences of the entire lunar cycle. The fourth quarter, called the "Last Quarter", is from the Moon square Sun aspect through the next New Moon. It can bring a crisis in consciousness. This cycle’s experiences have culminated and one must now prepare for rebirth.